Thinking clean lines, ample comfort, and a modern tailored look? A Lawson will definitely do justice to your home aesthetics. Three attached back pillows with seat cushions with arms either rolled out or slim and much lower than the back, this sofa will satiate your desire for a versatile and comfortable piece to match your modern interiors. And the best part – you can tweak just about everything in a Lawson to suit your style of décor – from straight legs for a modern setting to a ruffled skirting for a rustic home; similarly track arms for an urban home and rolled out arms for traditional ones. Tight, attached seat and back cushions will stretch and wrinkle with use. You can easily restore their appearance by smoothing the surface and tucking excess upholstery into the sides of the seat or back. 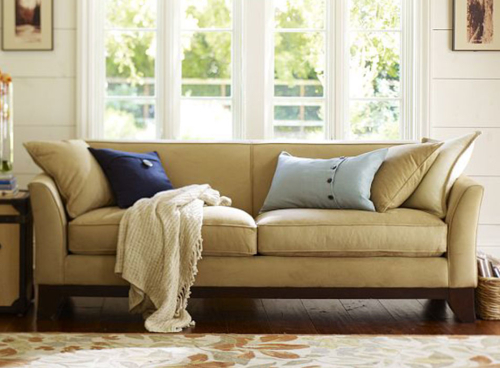 To minimize fading, we recommend placing your upholstered pieces where they won’t be exposed to direct sunlight. 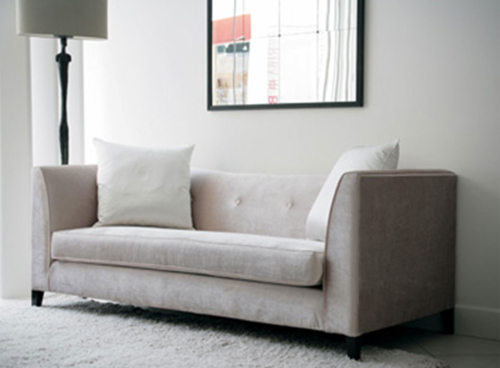 Professional cleaning when you think is required is ideal for your upholstery to be looking at its best. We recommend once in two years. Please do not push sofa sideways or from back to clean floor or while shifting. We recommend you lift it and shift. For wrinkles and lumpy look on loose poly-fiber cushions/ accent cushions and sofa seat back cushions: Smooth the cover on the seat/ back cushions. It is recommended that seats and backs are smoothed and fluffed to make sure that the interior materials are evenly distributed throughout from time to time. For persistent stains and overall cleaning, contact an in-house professional upholstery cleaning agent/ sofa shampoo cleaners. Never use spot cleaners containing bleach or alcohol. Do not dry clean or machine wash cushion casings as it may damage the fabric, backing or stitching. You’ll get the best results if you treat stains immediately. 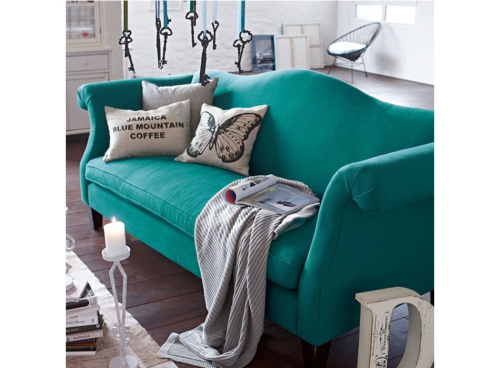 Sinuous coil: ‘S’ shaped sinuous metal wire springs are stretched laterally across the frame of a sofa. These coils are attached on the sides of the frames with clips allowing it to flex. These provide additional support and stability. Sinuous coil suspension or support is preferred in some cases. Webbing: Interwoven nylon strips of suspension is used to create resilient platform and base. This elasticized webbing is securely attached to the wood frame with staples and a hammock like platform is created for good support of seat cushions. Webbing suspensions are ideal for thin-profile styles that require maximum support in minimal space. It may be used alone or along with coil springs depending upon the form and shape of a sofa or a chair. Foam: Quality branded foam of various densities is used on your sofa back, seat and armrest to provide that extra comfort and the perfect appearance. Medium-hard to a medium-soft foam density foam is used depending upon your preference of comfort and the silhouette of the sofa/chair. Polyeutherene or poly-fibre are wrapped to layer the foam for a smooth look and feel. In-case of a structured even sit, we would provide a higher density foam that retains shape with little maintenance. For that sink-in soft, yet plush feel, we suggest a softer, medium density foam layered with poly-fibre. This will soften with use. Styling: Let us help you with various arm styles, back styles and leg designs. You could go in for an English roll over style with bun shaped- turned legs in teak or a Lawson sofa with pleated arms and mid-century tapered legs. Watch this space for our next blog on shapes and styles of legs. Love what you see or want to personalize? What look are you keen on? What prints do you prefer? There’s something so inherently grand and almost arrogant about owning a Chesterfield! The marvellously tufted sweeping arms in line with a skilfully tufted back, the rich, wonderful patina of pure leather and the little rustic rivets that dot the arms on the outside – everything about a Chesterfield resonates with the luxurious, old-world charm of the 19th century England. 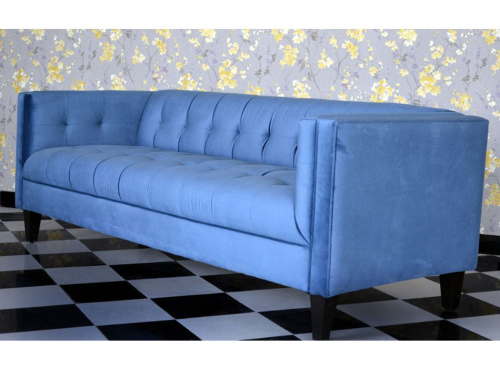 Extra cushioned seat and a choice of Queen Anne or elegant turned wooden feet make this sofa all the more gorgeous! Our design team’s unparalleled ability of dressing up this plush piece in fabric with a coordinated foot stool is definitely something to look out for! Finishes available – Walnut, Rosewood, Natural, Mahogany. Quintessentially a timeless and comfortable classic in the countryside, the Howard is elegantly styled with short English curved arms, medium soft seat, and a supportive back. Exuding poise, class, and comfort in every corner, the Howard almost looks like it’s handcrafted from one of the Bard’s magical sonnets. Skilful piping along the back, arms, and seat and short, turned/Indian legs add to the everlasting beauty of this great looking piece of furniture. Finishes available – Walnut, Rosewood & Natural. 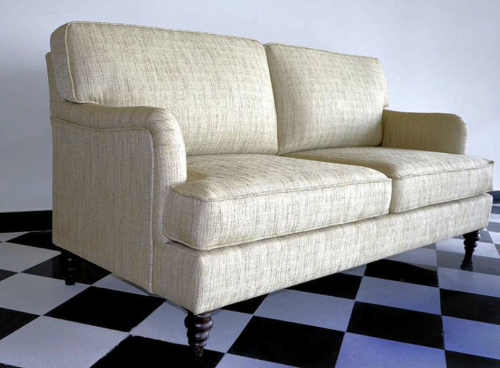 Upholstery available – Grey, Fawn, Plaids, Buffalo checks, Antique stripes. Rich, elegant, and refined silhouettes with curves in all the right places! A camelback is truly a vision in vintage and is aptly named for its elegantly tight, serpentine back. It sports fashionably curvaceous and high rolled arms that are the same height as the back and ooze every bit of the Colonial rococo. A camelback’s upright and crisp seating with no back cushions and exposed legs revisit the era bygone. 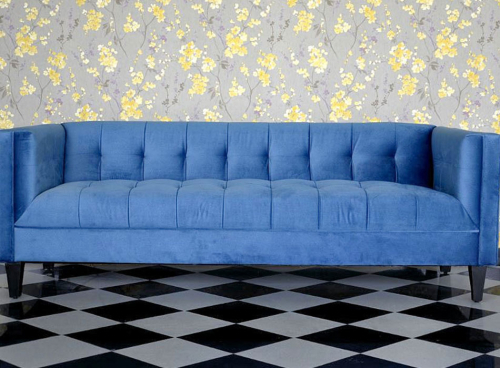 Upholstery shown – Rich Blue in Polyester, Jacquard. 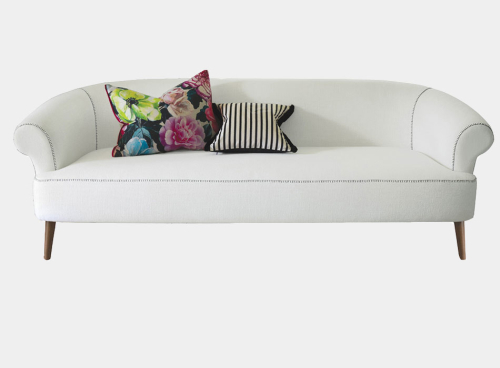 The English Rolled Arms is essentially a sound investment for people who love lounging in style! Generously cushioned deep seats and a tight seamed back – amazing choice for a quick noon siesta! 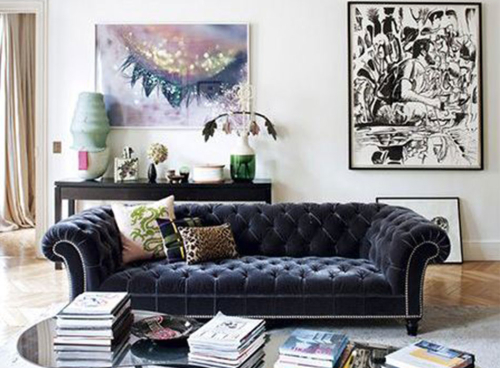 This almost masculine sounding sofa does have bursts of feminism in its design with the recessed rounded English arms and the beautifully turned legs which add an aesthetic element to the piece. Dress it up in neutrals, solid, faux leather or even suede and place it by the French windows or a fireplace and you’re all set for the most comfortable, warm winter ever! Sleek. Sharp. Sensational. 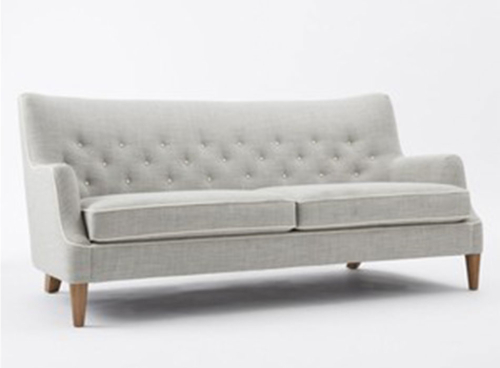 Stunning and evoking a very Mad Men vibe – we keep running out of adjectives for describing the well-defined contours of this mid-century low back classic sofa with box shaped tight tufting. Straight arms in line with an elegantly tufted back – the Tuxedo is quintessentially graceful and imparts a Midas touch wherever it’s placed. Sumptuously cushioned arms, back and the seat make this piece look all the more luxurious and comfortable. The Tuxedo looks equally smart as a standalone or when teamed up with U- shaped/tub shaped printed chairs. It’s also available in a lovely single seater. A happy and crazy marriage of European designs and Indian sensibilities – nothing else could describe our Indian Melange collection better! This effortless blend of Indian and European styling might just add that sparkle that you have been dreaming of for your lovely home. 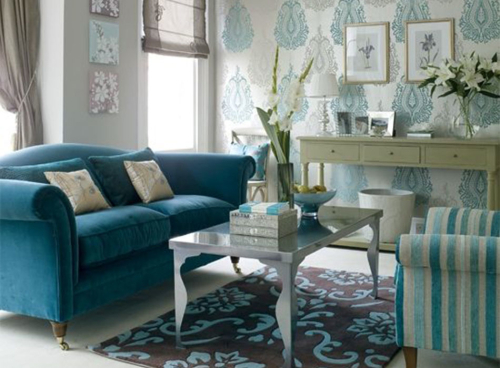 Want a glamorous ‘Ikatised’ Chesterfield or a charming Camelback with Indian silhouettes? We can handcraft these beauties and other bespoke pieces for you to stylishly update your living room, lounge, or dining area. 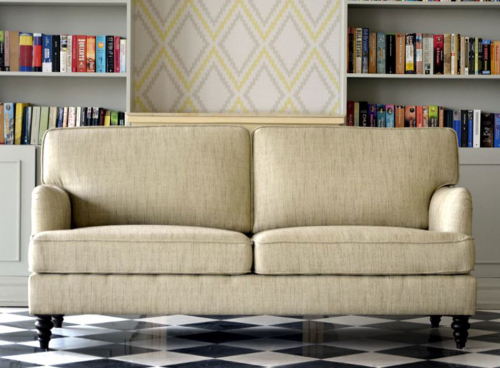 Thurston is a sophisticated and comfortable piece from our sofa collection that creates a focal point in your living room and instantly invites your friends for a lively tête-à-tête at home! 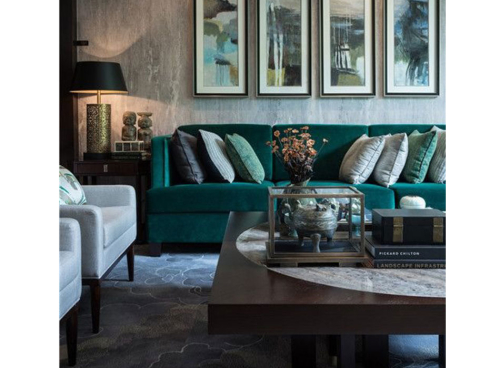 Elegantly curved arms in line with a clean buttoned back, low-height loose seating, and short stylish legs make it a perfect choice for a contemporary home. The Pink Chair team suggests throwing in a couple of geometric or abstract cushions with a solid hued Thurston. Sit back and watch in awe as your living area gets transformed magically!